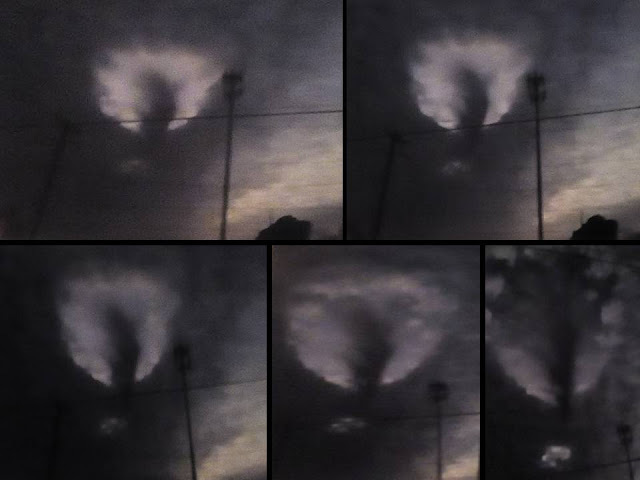 Incredible images captured by a couple apparently show a UFO coming out from a portal in the skies over Alexandra, Louisiana. 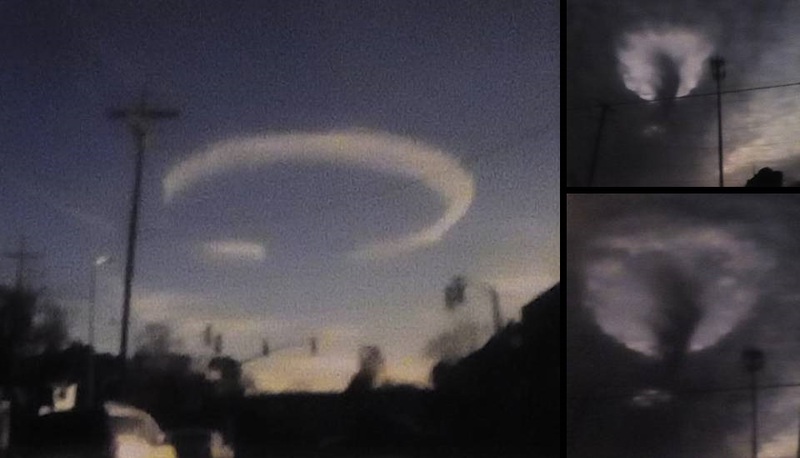 A couple coming back from their job spotted a strange ring-shaped cloud in the sky which then slowly changed into a very spherical ball. 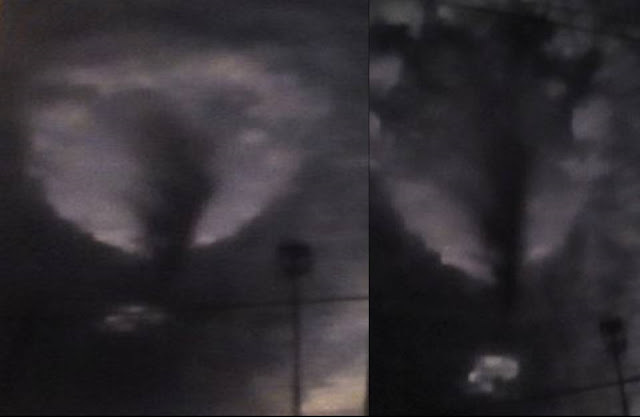 They stated: "Me and a boyfriend stopped our car on the side and watched the huge spherical ball which remained stationary so we had time to take pictures, before it disappeared after a few minutes." The strange object under the bright spherical ball looked pretty big and did not look like an airplane or a helicopter. It was 12:45 and the visibility was still good." The images, taken on 2017/01/15, were submitted to Mufon for further investigation and registered under case nr. 85382.